Welcome to our tasty blog about BBQ in Dallas! As a Texan, we take pride in our BBQ, which is why we want to educate those who aren’t as familiar as we are with the tantalizing tastes of BBQ. In our blog, you’ll learn about how to devour the best BBQ, different sauces that really spruce up the menu, and how to really bring the flavors out of seemingly traditional meats. With so many things about BBQ to learn, it’s best that we get started as soon as possible so you can enjoy BBQ as much as we do. If you love BBQ – or have yet to explore BBQ – then it’s time you settle down with a plate of delicious ribs and enjoy some articles about something everyone should know about and enjoy – BBQ. Not Just Q is not just an ordinary food truck. We’re not just a chain restaurant where you can order a plate of BBQ. And we’re definitely not a fast food joint. In fact, Not Just Q is so much more than those other options – we’re BBQ. When you come to Not Just Q you don’t just get traditional BBQ ribs and beans for your supper; here, you can choose from a variety of options off our menu to fill your stomach. 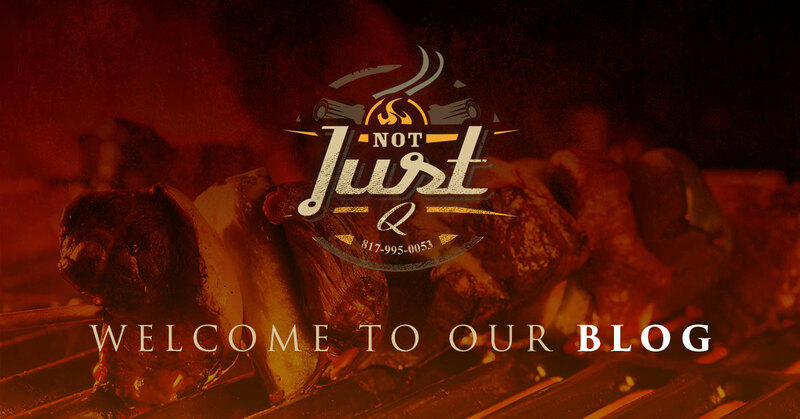 Not Just Q is a catering company that is changing the face of what you think of catering as well as your idea of BBQ. What stands us apart from the average BBQ joint is that we strive to make real BBQ smothered with tasty sauces and a smokey flavor that leaves you craving more even when you’re stuffed. Not Just Q offers to cater any type of events as well. From wedding receptions to corporate catering events, you can invite your friends, family, and coworkers to enjoy delicious BBQ for a great price. 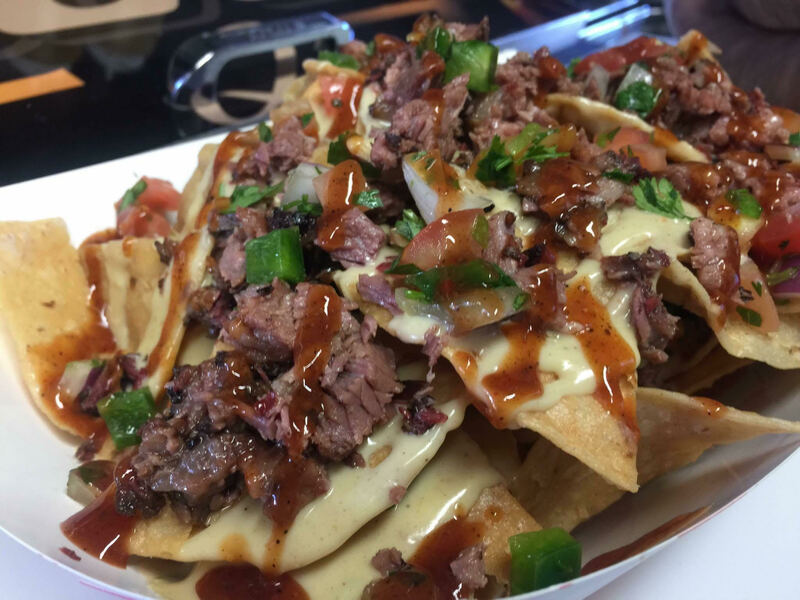 When you hire us to do a catered event or even if you stop by our food truck, you’ll get a little something different off our menu. Each plate we serve up is filled with flavor and a variety of tastes that will create a mouth-watering effect in your mouth. We use the finest cuts of meat in our BBQ and we incorporate homemade sauces. We don’t use any of those store bought sauces that are too sweet or have an odd aftertaste. Instead, we’ve created homemade sauces and dry rubs that give the fine cut meats we use a savory taste you can’t find anywhere else. 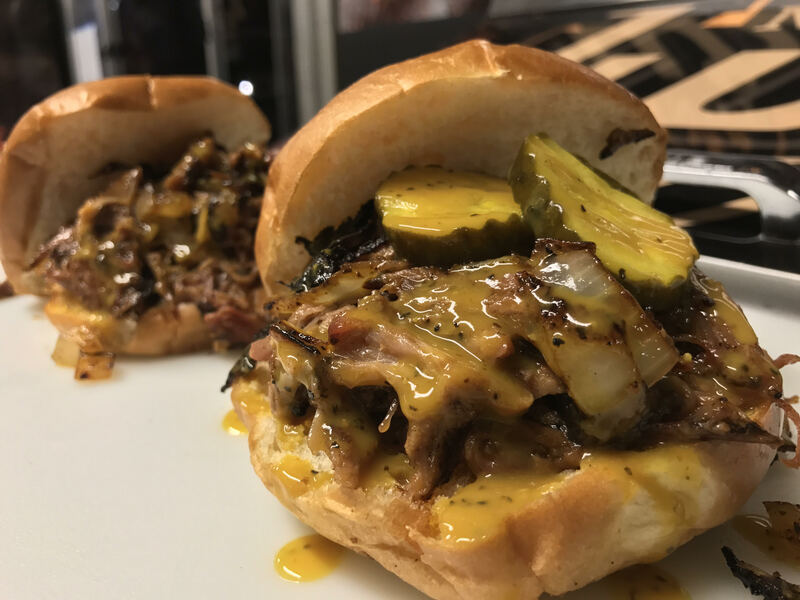 In our food truck, we use a smoker, which is what gives our homemade sauces and dry rubs a unique flavor that doesn’t come from a bottle. On our menu, we also offer a variety of sides such as cheesy corn, potato salad, and garlic green beans. When you hire us for catering you’re able to choose from a variety of dishes that we offer. From pounds of meat to tacos and BBQ sandwiches, you don’t find a better BBQ menu in the Dallas area. Learn more about our event catering, when you reach out to us for a special occasion.